Graphic Arts Advisors, M&A advisors and consultants to the printing, packaging and graphic communications industries, is pleased to present a conversation with John Hyde, the leading expert in M&A involving financially troubled printing companies. Q: Your colleagues say that market conditions are positive for mergers and acquisitions in the printing industry. Do you agree? Q: What does that mean for owners of printing companies that find themselves financially “upside-down,” owing more in debts than they can reasonably pay off? JH: Owners facing financial impediments who want to achieve a graceful exit have more options these days because the higher value placed on intangible assets such as the customer relationships and the “book-of-business” provide a form of currency to settle various debts in a peaceful way. That’s where Non-Bankruptcy Debt Restructuring comes into play. Q: When do printing company owners need to consider Non-Bankruptcy Debt Restructuring? 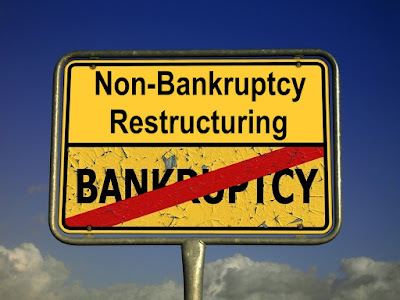 JH: Non-Bankruptcy Debt Restructuring is particularly suited for highly-indebted companies, which sets the stage so the valuable parts of the business can be sold and transitioned to another company. If the printing company’s assets are worth less than what is owed to creditors, then the owner faces lousy options such as “pay it” with new money, perhaps from personal resources, or “fight it” in bankruptcy court. 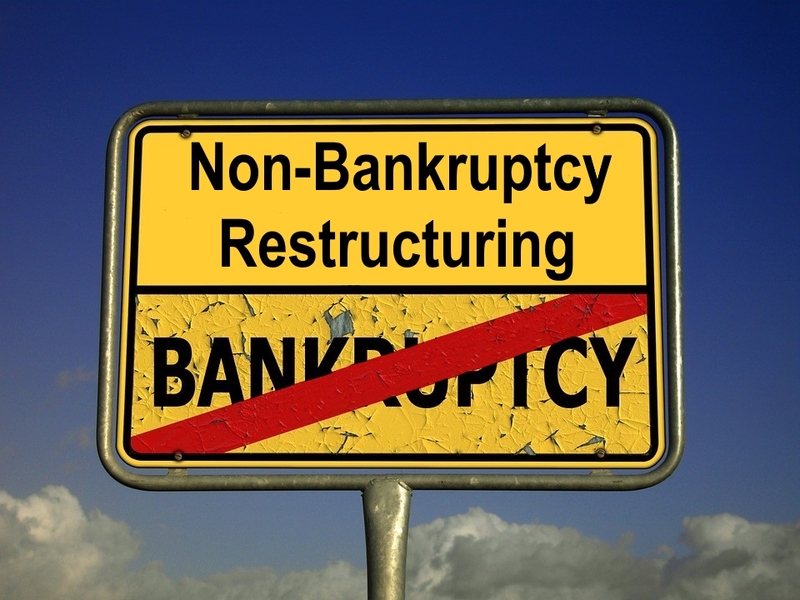 Non-Bankruptcy Debt Restructuring is less painful than “pay it” or “fight it” in most cases. That’s why it is a popular alternative for highly indebted printing companies. Q: How do you assess the current receptiveness for settlements from lenders, trade suppliers, and other creditors in these situations? A: Expectations among creditors are high in today’s climate. There is little tolerance for a plan that gives creditors the proverbial five cents on the dollar while the former owner walks away with their shirt on. That said, this is not a climate in which a lot of hard-ball tactics are used to punish owners that are in a difficult financial position. We find that our clients are coming out okay as long as they can substantiate a well-presented offer as being fair and reasonable in the particular case. Q: In other words, Non-Bankruptcy Debt Restructuring is worth considering in situations where “too much debt” prevents the owner from simply getting out from under. What about where there are enough assets, but it is going to take time for money to come in? JH: Non-Bankruptcy Debt Restructuring is an appropriate option if the debts are due before the assets can be monetized. There may not be enough cash at closing to take care of everything right then. That doesn’t mean the price was too low or that the assets aren’t worth enough. Many sellers negotiate a fair deal that supplements the cash received at closing with future payments from the buyer in the form of an earn-out, royalty, or promissory note. But the typical creditors (bank, suppliers, leasing companies, credit cards, and the landlord) expect payment much sooner than when those future payments would come in. JH: We put together a comprehensive plan for restructuring the various debts to better align timing and expectations. Q: What do you mean by “restructuring”? JH: Restructuring is the art and science of substituting one obligation for another. Q; Is it a legal term? JH: Yes and no. There is no exact legal term called “restructuring” but professionals engaged in the practice incorporate elements of federal bankruptcy law (chapter 11, chapter 7), state creditor rights laws under Article 9 of the Uniform Commercial Code, state law as to real estate foreclosure, and plain-vanilla contract law. Restructuring in practice goes beyond legal principles by factoring into the mix financial, tax, accounting, corporate, psychological, public relations, and ethical considerations. Q: Is “restructuring” legally binding like in a formal bankruptcy case? JH: It can be, but “restructuring” as a trade craft is broader than what can be agreed to in a written legal document. It includes unspoken understandings, subtle nuances, and an extensive treasure chest of tactical opportunities to help better the client’s position. Q: Huh? What does that mean? Please give an example. JH: Okay. When the leasing company threatens to go after an owner personally, we require receipt of a signed personal guaranty before discussing the matter further. At least 30 per cent of the time we never hear from them again after this request is made. They either can’t find the signed personal guaranty or it never existed. At that point, they know their leverage evaporated. We haven’t settled the lease obligation, but we changed the game and put the client in a better position so that either the debt will be settled for less or, in some cases, the creditor will simply give up and go away. Q: I’ve heard that you act as an informal trustee in administering payments, why would that be necessary? JH: Non-Bankruptcy Debt Restructuring is part negotiation and part administration. The administration work goes first because we need to determine or confirm what is owed for purposes of accuracy. We obtain creditors account statements to validate with source documents what the client thinks is owed. It is not unusual for there to be discrepancies. At the same time, the interaction with the creditor builds transactional trust. This leads to favorable negotiation after we’ve “taken the edge off.” Additionally, we track all communications to and from creditors so that the client is aware of progress/setbacks as the process evolves. Q: Couldn’t they do this on their own? JH: In some cases, “doing it yourself” is appropriate and in other situations, it’s more advantageous to outsource these functions to a third party. One reason for outsourcing is that the former printing company owner may be a new employee of the company that bought the business. The new ownership may tolerate absences for a short while in transition, but no one wants their new employee to be on the phone all day dealing with old stuff from another company. You may be surprised to hear that it’s the buyer that often encourages, or even requires, the seller to use our service as a means of getting the former owner focused on the going-forward business rather than clean-up of the past. JH: That’s another reason we are brought in to handle the debts. As a recognized industry expert, we have credibility. And, as an independent third party, we gain the trust of creditors. This makes it more likely that a mutually agreeable outcome can be attained than if the principals tried doing it on their own. Q: How about protecting the assets while you negotiate with creditors and administer the restructuring process? JH: Core to our process is that all collected funds are placed in a trust account, effectively creating a “firewall” between the creditors and the funds. This not only protects the funds while we are planning, negotiating and making final payments, but also provides a transparent accounting of the amounts received and disbursed. The use of a trust account is a key element to build confidence with the creditors that have appropriate standing. Creditors that know that they are being dealt with honesty are more likely to offer reasonable settlements. Q: If there’s too much debt or the creditors will have to wait for payment in the future, why not just file for bankruptcy? 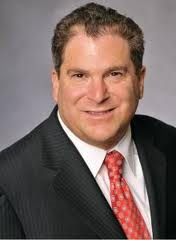 JH: I am not a bankruptcy legal expert, but we do look at the bankruptcy option and, if it seems to make sense, we can recommend a bankruptcy attorney or confer with the client’s attorney. Very few cases are good candidates for bankruptcy. Legal costs are one prohibiting factor, but even more so is that every creditor would have to be treated the same within certain classes of creditor. Treating all creditors alike regardless of context/background/history/relationship does not resonate with printing company owners. There is something fundamentally different about the big paper houses, the local mailing house, the die cutter down the street, and the freelance designer who saved a customer by touching up a job at night. Credit cards, office supplies, freight invoices, and click charges are just not the same. Non-Bankruptcy Debt Restructuring offers greater flexibility than bankruptcy, to a point. There has to be fairness, and it is up to the skilled advisor to read the landscape properly in crafting the plan that accommodates different interests. Q: Why are there are so few printing company bankruptcy cases? JH: In addition to the requirement to treat all creditors equally within certain classes and the high legal fees, here is the icing on the cake against bankruptcy: survival in the printing industry is hard enough without competitors waiving your chapter 11 petition in your customers faces. The perceived risk of sending a job to a printing company in bankruptcy is huge. In some segments that involve privacy laws and data security, bankruptcy is immediate grounds for terminating the relationship. In other words, the value of the printing company’s intangible assets, its customer relationships, is more negatively affected by a bankruptcy filing than it would be in Non-Bankruptcy Debt Restructuring. Q: Who reaches out to you for bringing you into a situation like this? JH: Most of my referrals come from buyers of printing companies who feel that the seller is a good fit strategically but there’s too much debt. They bring us in to figure out a game plan for the distressed seller so that the transaction can be consummated. We are retained by the buyer at this point, and the buyer will incorporate our recommendations on seller debt restructuring into their offer so that the seller receives a comprehensive solution and not just an isolated offer that fails to connect the dots. Q: Do you negotiate with creditors before the business is sold? JH: Generally speaking, we prefer to sell the intangible assets first without opening creditor communication to anyone other than the bank and secured lenders who would have to be addressed in order for assets to transfer. The process of winding down the operation and communicating with trade creditors is most effective AFTER the customers are getting their jobs done by the strategic partner/buyer. I will tell you that our preferred approach is not textbook; rather, it’s experienced-based learning that accumulated over the past 30 years. Q: So, you are negotiating with the seller’s creditors on behalf of the buyer? JH: It’s happened in some cases, but usually we are not actively negotiating with creditors until after the buyer and seller have reached an agreement. In some cases where negotiations are critical in order to close the deal (i.e., bank or landlord), we may line up on the buyer’s side and work closely with the seller toward a win-win transaction. As the M&A deal moves toward consummation, the seller often asks that we stay on board to manage the seller’s post-Closing orderly liquidation and winding down. That’s when we would handle most of the creditor work, both negotiation and administration of debts. Q: How about when an owner that wants, or more critically, needs to sell their company and is under the gun to sell quickly due to the mounting debt load? JH: We are also approached by sellers in these situations. In these instances, we run a dual process in which I plan out the restructuring and work with the creditors to extend the time frame, while my partners run a robust sale process to find the best and highest offer for the company. Notably, creditors, especially the secured lenders, will appreciate that the sale is being conducted by industry-specific specialists in a transparent, arms-length process. That makes a tremendous difference when the secured lenders are asked to forgive or delay payment of debts. Q: Wouldn’t the seller’s lawyer or accountant be in a better position to negotiate debt restructuring? Q: I understand that you are an attorney, but not acting as the client’s attorney, is that right? JH: That’s right. I am a consultant, not serving as the client’s attorney. My law license from New York State sits proudly in a frame on the wall but it has been dormant for many years. Q: What size company is in your wheel-house? JH: I am comfortable advising clients who have annual revenues in a wide range, from a half million in revenues up to $50 million, because the concepts are the same regardless of how many zeros are on the spreadsheet. GAA’s sweet spot for Non-Bankruptcy Debt Restructuring services is assisting companies with between $1 million and $10 million in annual revenues. Q: Should potential distressed sellers assume they have to come up with a lot of money for these services? JH: It’s the reverse, there are few, if any, fees from the distressed seller’s operating check book. Most of the project fees come from the buyer pre-closing or post-closing out of assets being turned into cash (via sale or AR collection). We have many examples in which the eventual return-on-investment is five-to-one, meaning the negotiated savings may be as much as five times the fees we charge for the services. Q: Do you charge a fee that is a percentage of negotiated savings? JH: We do not feel that a percentage of negotiated savings is an ethically appropriate fee structure because it may put self-interest ahead of the client’s interest. An example would be if we think a creditor has closed their file and will go away quietly. If we were paid on a percentage of savings, we would open this door and bring the creditor into negotiations so that a settlement could be reached. But the client may be better off to let sleeping dogs lie and not open that door. By being paid on a project-fee basis, we don’t have any potential conflict with our client’s interests. Q: After you have completed the pre-closing planning, how does the actual debt restructuring process start? JH: In most cases, the Non-Bankruptcy Debt Restructuring starts on the printing company’s final day as a fully functioning operation. Typically, this is shortly after the closing of the sale of the business. It’s essential for the customer assets to be protected, as they are perishable like fruits and vegetables; they are valuable only if maintained, cared for, and sustained. Therefore, we don’t want to send messages to the supplier base that the business is scheduled to close. We prefer that the customer assets are sold first or at the same time as the manufacturing operation is sold. JH: I would not want to prejudice a future case by stating a time frame. That said, it is not uncommon for a case to be in my office for more than a year. The client receives periodic updates but, for the most part, we move the process along to everyone’s benefit. I like to remind clients that time is the debtor’s friend. It’s counter-intuitive but widely accepted among those who practice in this line of work.